If you’ve been married 20 years – something changes. According to the University of Michigan, you start to become more and more like your partner – physically. They studied over 15-hundred married couples. And they found that as couples grew old together, they became more physically similar. There were similarities in things like kidney function, cholesterol levels, and grip strength. So why would this happen? Well, they theorize that not only do we tend to choose partners who are similar to us – as far as age, background, and looks. We also spend our lives together – eating the same foods, living in the same place, and sharing activities. So it makes sense that the more similarly we live – the more alike we become. •You’ll live longer. Researchers at the University of Michigan tracked over a thousand seniors for a decade. The result: Those who volunteered on a regular basis were 40% more likely to be alive at the end of the study. 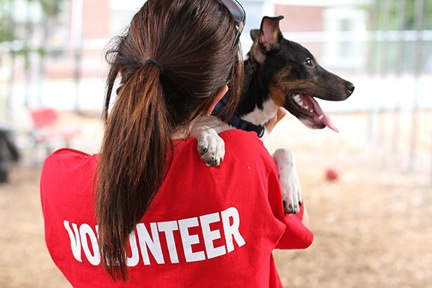 That’s because volunteering increases the levels of hormones that help cells repair themselves. •The “helper’s high.” Just thinking about doing a good deed causes your brain to release the feel-good chemical dopamine. And helping others releases so much mood-boosting serotonin that it’s just as effective treating depression as medication. •Helping others improves relationships. Researchers studied people who took care of a spouse suffering from Alzheimer’s disease. And no matter how challenging things got, the caregiver developed even stronger feelings of love and compassion for their ailing spouse. 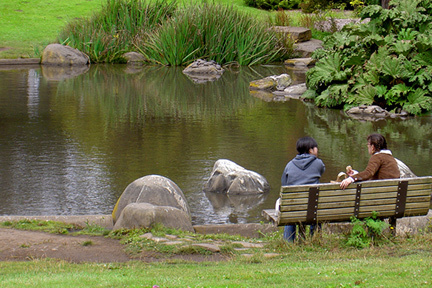 If you work INDOORS all day long, try to get OUTDOORS for lunch and eat somewhere green, like at a park. Exposure to nature can relieve stress, boost happiness, and improve productivity. In fact, the University of Michigan found that spending time in natural spaces improves memory and attention span by 20%. If the weather keeps you indoors, at least get away from your computer and sit by a window with a view of nature – which can also be mentally restoring.